For more than half a century, historically Black colleges and universities educated thousands of teachers, social workers, ministers, physicians, lawyers, scientists in all fields, aviators and business men and women. For more than half a century, historically Black colleges and universities educated thousands of teachers, social workers, ministers, physicians, lawyers, scientists in all fields, aviators and business men and women. Now, the institutions, most of them historically poorly funded, with limited wealthy alumni and limited academic offerings, have to face a new future, one they had once championed to replace the evils of racial segregation. As previously closed doors across the South opened, HBCUs discovered they had no real plan for maintaining and growing in the post-segregation era. Today, with as many college-bound Black students headed to majority institutions as HBCUs, many HBCUs are struggling. Thousands of once-captive college-bound students are beyond their competitive reach. Only a handful of HBCUs have successfully navigated the transition, while most have become more marginal than they were during the days of segregation. Most are scrambling to reinvent in order to not only retain their traditional audiences, but to broaden their appeal to other minority and non-minority groups. In the last 20 years, lawsuits seeking more equitable funding at state-controlled institutions have replaced racial segregation litigation of the previous era, with some cases (Alabama, Tennessee, Mississippi and the Carolinas) settled and another (Maryland) pending. Meanwhile, the private benefactors who were once clear about the need to fund and support HBCUs in an era of segregation are rapidly disappearing today, as the HBCU mandate message becomes fuzzier and fuzzier. Amid the long-held belief that historically Black colleges and universities have become less pertinent in their role of serving Black students within a well-integrated society, the future of such institutions is uncertain. HBCUs, like many of the nation’s institutes, tackle hurdles of financial instability and experience lower graduation rates. However, the minority-serving schools tend to bear more accountability in their performance efforts, as the initial goal of producing the nation’s most high-achieving Black scholars has struggled alongside competing non-HBCUs. Once thought of as niche-markets where several Fortune 500 businesses would strive to recruit top-performing Black students, HBCUs have lost many Black students who have increased admission rates to traditional institutions by approximately 14 percent. With the rigorous competition from traditional colleges, HBCUs must charge their leadership to strengthen the capacity and allure of their institutions, according to John Wilson, former executive director of the White House Initiative and new president of Morehouse College. “After getting a view of the higher terrain of HBCUs, I’ve recognized the competition is much different in general. Leaders have to create a new level of operation — that’s both in the learning environment, the living environment and the working environment on our campuses,” Wilson says. However, the need for stronger, more efficient administration lies at the forefront of HBCUs’ most plaguing issues, the financial makeup and support of such institutions could certainly impact the future of the institutions. Undoubtedly, the number of students at public HBCUs exceeds those at private Black institutions by far. However, the financial burden is not new to many of the nation’s colleges and universities, including non-HBCUs. As a result, minority-serving institutions need to restructure the dialogue of funding in order to increase financial support. According to William A. Sederburg, former commissioner of the Utah System of Higher Education and senior scholar of American Association of State Colleges and Universities (AASCU), state schools, including HBCUs, should form a mutual relationship between the schools and the state government. In asking for increased funding, legislatures need to see results that justify an institution’s support. “If you’re going to be a successful state school, you have to increase the education level at each institution,” says Sederburg. With many minority-serving institutions, the amount of public funding made available lacks tremendously. Since legislature decides the amount of school funding based on data such as graduation rates, Black colleges tend to be neglected with state funding, as they lag behind the national average by roughly 5 percent. Sederburg says that the retention rate is critical in any school’s quest for further financial support, which resonates among the private sector accordingly. While many HBCUs pride themselves in building a strong portfolio of Black students, many schools hinder themselves by focusing primarily on that one critical market. M. Christopher Brown II, president of Alcorn State University, says that increasing the number of students from a global market would be beneficial for the culture and modernity of the minority-serving institutions. “At Alcorn, we’ve had students from 46 or 47 different countries. The reason why that’s so important is because of the global dynamic of the world in which we work. So if you’re going to be an informed participant in the world post-graduation, you need to know first-hand of how things are occurring in the world,” Brown says. 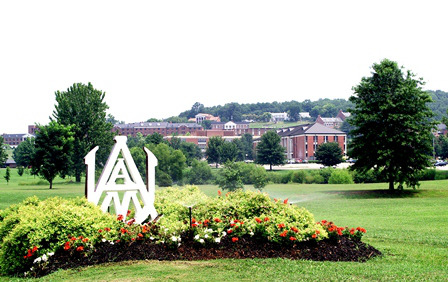 Although Alcorn’s students have come from several different countries, the majority of the school’s population is comprised of Black students, like many other HBCUs nationwide. In addition to focusing on a diverse student population, Brown has found it beneficial to employ faculty from various backgrounds. His critique of a more diverse faculty received increased media attention after he hired Jay Hopson, a White head football coach. Recorded as a historic moment for HBCUs, Alcorn was the first among the 105 HBCUs to see a non-Black head football coach in the Southwestern Athletic Conference. 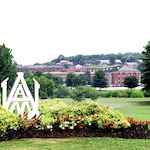 Certainly, HBCUs face a large number of complexities, which oftentimes question their contribution to higher education. Yet, for graduates of the underrepresented institutions, there is a strong affinity to their schools because of the effective nurturing model that tends to create a personal development for such students. Alumni say that the large pool of minority candidates helped in their transition to the corporate environment. Cheryl Harris, Florida A&M alumna and vice president of Allstate Insurance, shared that her HBCU experience became critical in driving her success as an executive of one of the nation’s Fortune 500 companies. For Harris, the technicalities of the academic curriculum were far overpowered by the personal training she received from many of her professors. “I’m a first-time college student in my family, so I didn’t have role models to tell me what it was going to be like; I didn’t have role models that I studied,” Harris says. Harris’ personal experience is one that she says many neglect in discussing the relevancy of HBCUs. Since the debate is oftentimes centered on graduation rates and the insufficient administration, critics don’t highlight how Black institutions have shaped careers from one’s personal aspect. According to Harris, alumni and administration need to build a stronger advocacy platform in revealing the benefits of HBCUs, while also adhering to detrimental issues. Wilson agrees with Harris’ assessment of Black schools, as he places the responsibility on HBCU alumni, staff and administration in order to converge with the modern needs of higher education. “If we don’t change as HBCUs, I don’t think we’ll be standing much longer. We need to reclaim what our ancestors built. If they created competitive institutions during extreme times of turmoil, it seems rather illogical why we can’t progress, especially since we haven’t faced even a fraction of what they’ve endured.” Wilson says.